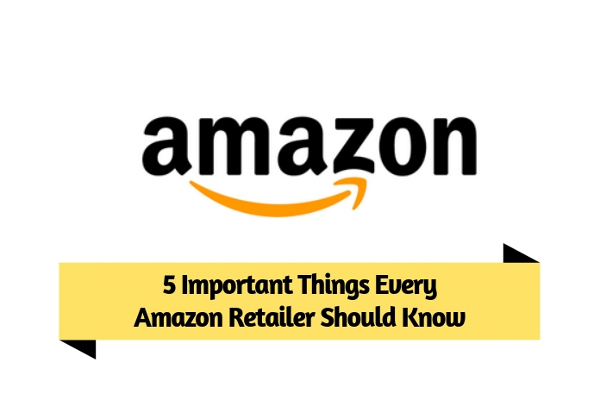 5 Important Things Every Amazon Retailer Should Know - GoodGuysBlog.com - New, Technology, Marketing, Health and So on. There are times when people lack time to find the best shop to buy a gift for their buddies or in need of a unique gift item that they can’t find around them or find the comparison of exciting offers that each store provides in one table. Today, shopping online through a high-end mobile application is an emerging trend. Most of the people prefer shopping for things online. This is usually due to the fact that they are able to find different varieties in each product they search. Amazon is the leading e-commerce site up to the date. Aspiring To Become an Amazon Retailer? If you are in an objective to become one of the top retailers in Amazon then it is a must that you know certain details in depth about merchandising in Amazon. The first thing is to go through their policies, terms, and conditions to make sure to continue online selling with Amazon. If the answer is ‘yes’ then here are some of the points that you must take care of before partnering with Amazon. Before start selling your product put forth a question, whether your product is a new one or used one? In Amazon, there are two categories as a buy box and buy a used box. Normally buy box is the one which the customer sees first when he searches for a particular product. So, there always prevails a competition to capture the position of the buy box. Buy used box is similar to the buy box except that the product displayed over is already used one. Similar to the race that occurs to occupy the buy box; same terms apply to buy a used box. Before selling online find your type and get in the right direction of sale. We already came across the sentence that your product must fight strongly with other similar sellers to get into the buy box. So, how the winner of the competition is decided? It depends on certain conditions. Competitive pricing - If your product is one among the many sellers who sell a similar product; the price will be the deciding factor. Exciting offers - Amazon will check out the offers that you provide the customers. With increased offer rate there are chances of increased purchases hence it remains a factor of buy box. History of transactions - The history of transactions is one of the crucial factors in the Amazon list. It shows how efficient a particular seller can be to turn his view into a successful purchase. Number of views - The increased number of views automatically improves possibilities of a particular item being bought in Amazon. Hence, it is one among the deciding factors. Fulfillment by Amazon (FBA) is a program began by Amazon to help the merchants who sell their products on Amazon platform. The sellers are allowed to bring their product and stock them in fulfillment centers established by Amazon at various locations. Once stocked, Amazon takes care of packing and other shipping aspects. They even take care of the customer services once enrolled in that program. This helps the vendors to be stress-free about all those services and concentrate on other aspects of their business. It also includes other benefits like taking you a step closer to the buy box option. Also provides many options of shipping your product to the customer. Selling your product on the Amazon platform can be a great idea if your product is one of the following categories. Customized products - According to a survey the items which are unique and individualized according to the users demand tend to seek more attention and transaction. Niche products - By selling a hobby product you will have a very less competition in the platform which will obviously turn you a winner. Used products - Amazon is a huge market to sell used products. People whose primary concern is the price of the product opt for this option in Amazon under the used buy box that can get you more sales. There are certain conditions like you can’t associate your product to already listed item in the catalog, compensation for shipping, and restrictions in modes of shipping. You can check out their page to find more details. Have a happy selling!